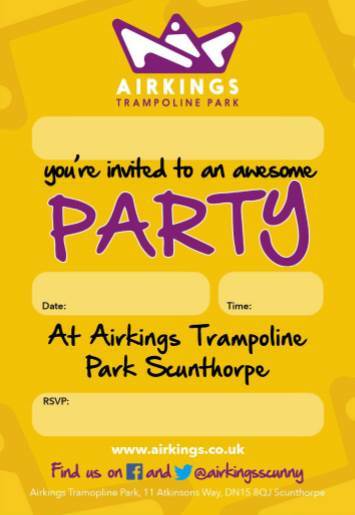 Free return bounce session for birthday guest is limited to Monday-Thursday between 1700-1900hrs. Please email scunthorpe@airkings.co.uk with preferred time & date. We will then confirm. If it is a joint Party, Air Kings will only issue 1 return visit per 10 Party Guests.